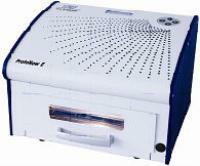 The LPKF E-Series is a specially designed, economical solution for rapid PCB prototypes. The products in the series cover the needs for cost-effective, easy to use, reliable assembly of low-volume production. This is a perfect solution for beginners and for professionals, as well as for applications in an educational environment.